Virgil van Dijk’s omission from Southampton’s matchday squad for Saturday’s clash with Huddersfield has fuelled further speculation surrounding his future at the club. The Dutchman looks likely to leave St Mary’s when the January transfer window opens, having failed to secure a move away during the summer. Van Dijk made his desire to leave clear in August by lodging a strongly-worded transfer request, expressing his wish to play European football and claiming to have been fined wages after being exiled to train with the youth team. Liverpool seemingly posed as his ideal destination at the time, only for a complaint against an alleged illegal pursuit to shatter Jurgen Klopp’s chances of luring the centre-back to Anfield. The Reds are expected to reignite their interest following the turn of the year, but face serious competition from Premier League leaders Manchester City. 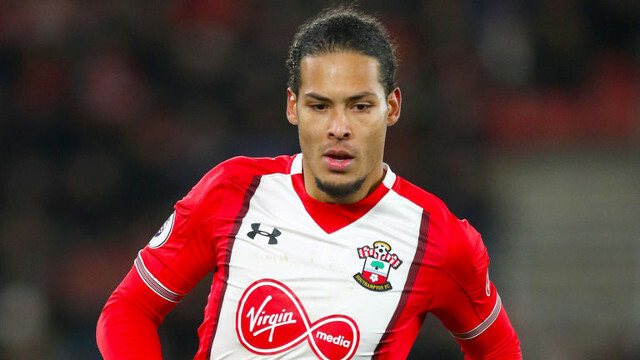 Radio Solent’s Sports Editor Adam Blackmore was at hand to tease two possible explanations behind Van Dijk’s absence. #saintsfc defender Virgil Van Dijk is, I’m told, in the stadium but with his family and not changed – seemingly not involved today. If that is the case, maybe a deal has been struck and he’s played his last game for Saints. Van Dijk was also demoted to the bench for last Saturday’s defeat to Chelsea, with manager Mauricio Pellegrino this week outlining his inability to guarantee anyone in his squad a starting spot. The £70million-rated Van Dijk from the 2016/2017 season is yet to assert himself this campaign, looking a shade of the commanding and technically gifted leader Liverpool were so desperate to sign just months ago. He has evidently struggled to rediscover his form since returning from a lengthy injury layoff, but supposedly remains the front-runner on Klopp’s list of defensive targets. Liverpool’s collapse in Friday’s 3-3 draw with Arsenal, in which they conceded three goals in five minutes to give away a two-goal lead, has re-triggered demands that the team’s defence be adequately strengthened in the midseason window. Will that mean finally making a bid for Van Dijk? Most Reds will say it has to.